Naptime has never been more fun, thanks to this snuggly, Personalized Stephen Joseph® Princess Nap Mat with an adorable princess print! Complete with a soft, built-in pillow and cozy velboa-lined blanket interior, the all-in-one nap mat will have your little one drifting off to sleep in royal comfort ... as the cute princess pattern inspires sweet, storybook dreams. 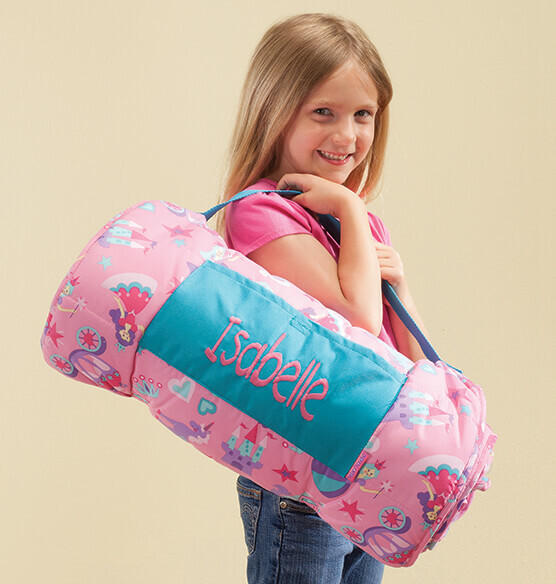 Perfect for camping and sleepovers at Grandma's house, it rolls up with an easy-to-carry shoulder strap and includes a handy front pocket for jammies and a toothbrush. 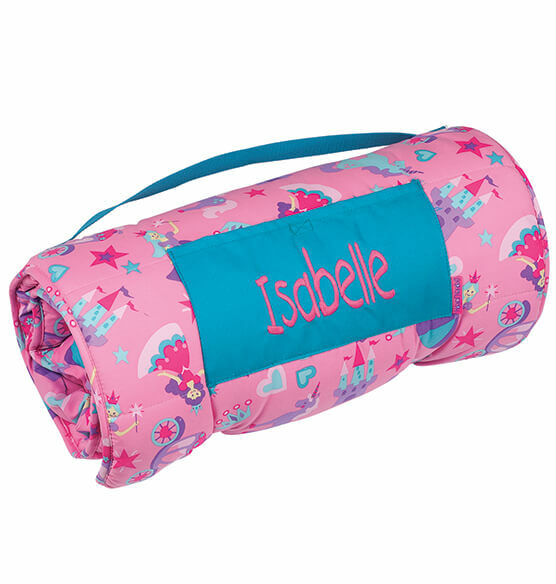 We'll personalize for your special princess, making this nap mat hers alone!